Wear green on Saturday and get a free Green Tea! Try out the Reuben Spud an oven-baked potato topped with corned beef sauerkraut, Thousand Island and Swiss cheese. 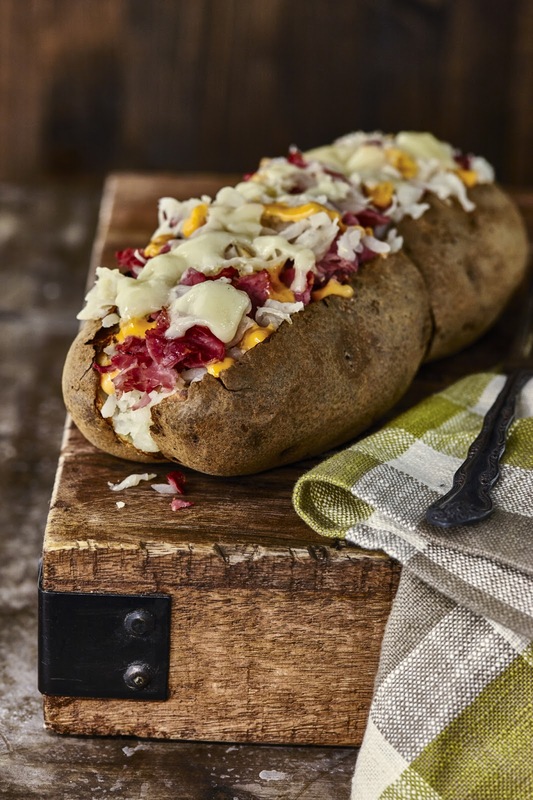 Enter the online Pot(ato) of gold contest to win a gift card.The limited time only, Irish-inspired Reuben Spud can be found at participating McAlister’s locations from March 13-17. 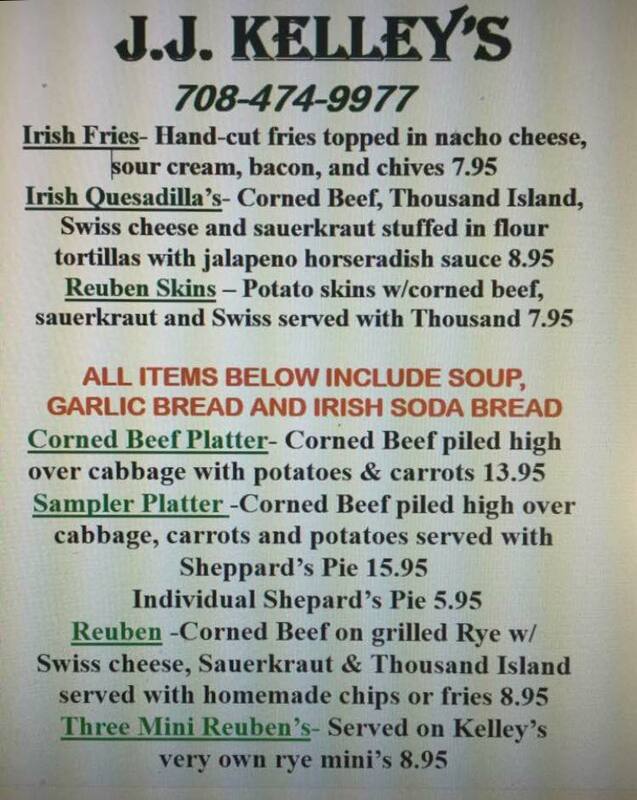 The end of the rainbow lands at Olive Theory Pizzeria in Downers Grove this St. Patrick’s Day. The Best Pizza Place in Illinois (According to Buzzfeed) is the pizzeria is celebrating the luckiest day of the year with an all-green $4 pizza, inspired by the lucky four-leaf clover. Available from Friday, March 10 through Friday, March 17, this delicious green treat features a garlic pesto base and mozzarella cheese topped with spinach and clover-shaped green peppers, finished with parmesan cheese. 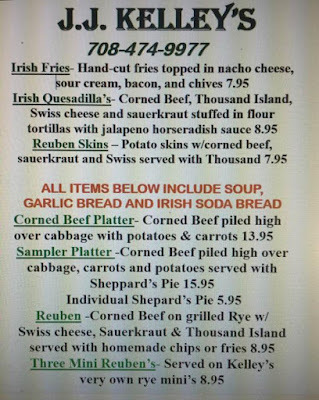 Get a corned beef and cabbage for $8.99. Also on the menu is Shamrock Pie (chocolate creme filled with pieces of Andes mints in an Oreo crust, topped with green whipped cream and Andes mint pieces.) Get a free slice with a lunch or dinner entree. The lifestyle boutique hotel in River North is putting a St. Patrick’s Day twist on its Morning Joe™ coffee delivery service, offering guests a complimentary Irish Morning Joe™, to kick off their celebrations. Guests can simply request a time for delivery and a piping hot coffee spiked with Jameson Irish Whiskey and Bailey’s Irish Cream in a signature ACME thermos will arrive at their hotel room door. Check out the bright green Chicago River, then head to Michael Jordan’s Steak House to refuel for the day. On March 11 and March 17, the Michigan Avenue dining spot will feature a New York Strip and with Irish bacon, Boxty and creamed cabbage ($44) and house cured Corned Beef Brisket with Boxty and creamed cabbage ($26). Michael Jordan’s Steak House is open at 11 a.m. daily for lunch and 5 p.m. daily for dinner featuring steaks, burgers, salads and more. For more information, please visit www.mjshchicago.com. 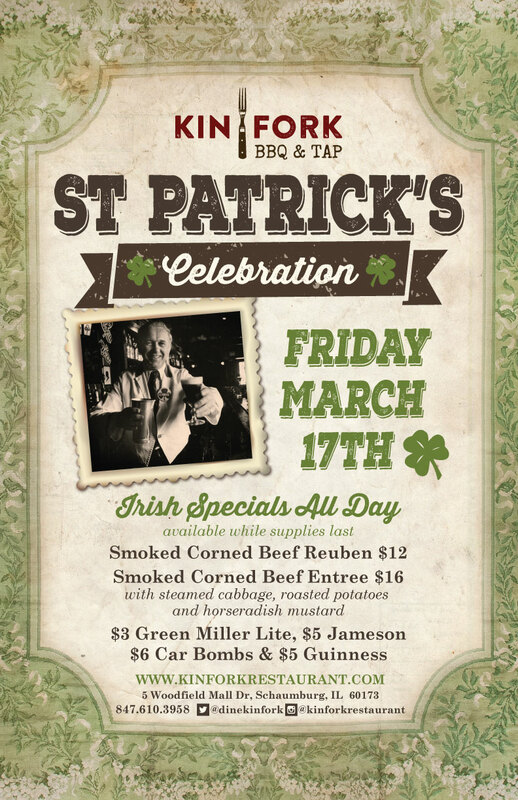 Thursday, March 16th is a celebration of St. Patrick's Eve at Henry's! Enjoy D.E.W. & a Brew drink specials while watching live music performances from The Bearfish Paddlers & Flatfoot 56. 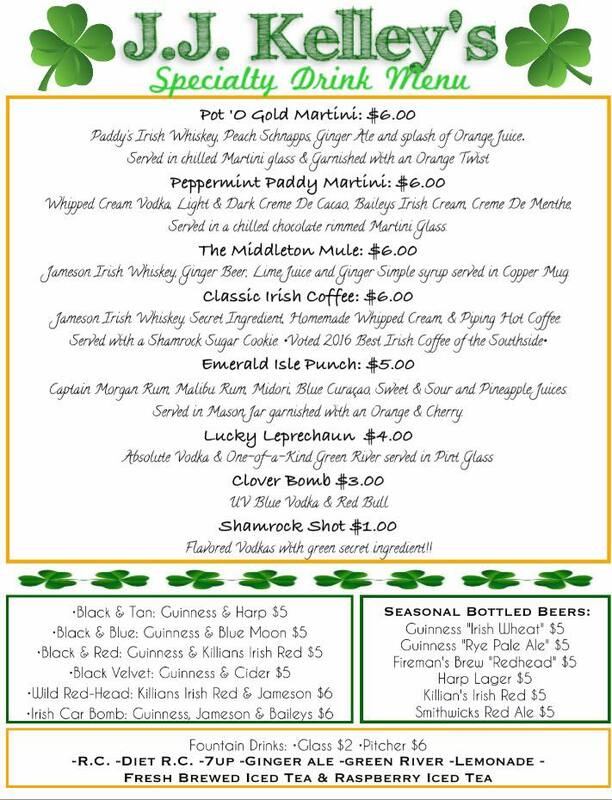 Bag Pipers, $3 Green Miller Lite and Coors Light Drafts, $5 Aluminum Pints and Jameson Shots. Open 10 a.m. – 2 a.m.
Cupitol guests will be lucky this St. Patrick’s “week” with traditional specials to celebrate the Irish. The all-day European-style eatery will offer house-made Irish Soda Bread for the week, in addition to rolling out a mint shake! Cupitol offers house made fare for all dining periods, featuring specialty roasted European coffee, fresh baked breads and a variety of vegan and gluten free offerings. Hewn is going green for St. Patrick’s Day! To get into the holiday spirit, the Evanston bakery will be making delicious soda bread – the Hewn way! Head Baker Ellen King uses rolled oats from Hazzard Free Farm to create the favorite variety, adds golden raisins and a touch of buttermilk for extra flavor. Chocolate lovers can indulge in a selection including Valhrona Chocolate Chips – a childhood favorite of Ellen’s, who’s mother liked to add chocolate chips to soda bread. Known for hand crafted, artisan breads, Hewn’s unique take on the traditional St. Patrick’s Day indulgence is a must try! 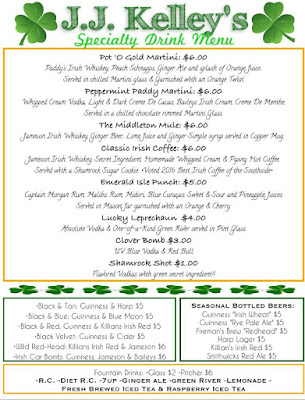 An Irish whiskey, Bushmill 10 year ($9), and beer on tap, 'The Craven' Irish stout ($7) will be featured. Throughout the month of March, the city’s urbanbelly locations will celebrate St. Patrick’s Day with an Asian-style twist from Executive Chef Bill Kim. urbanbelly diners can enjoy Corned Beef Ramen with Napa cabbage and a chicken pho based broth. With two locations in the West Loop and Wicker Park, urbanbelly is modern noodle and dumpling-focused restaurant and has been a Michelin Guide Bib Gourmand recipient several times. 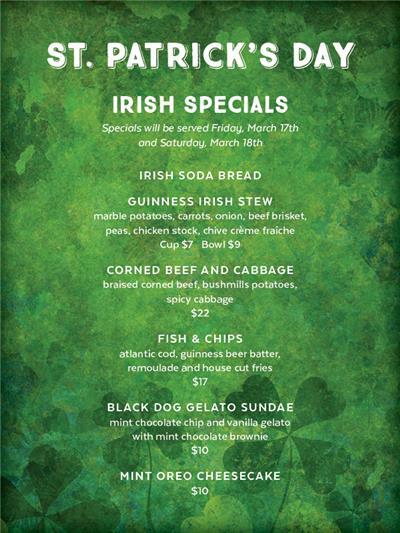 Join The Fifty/50 in celebrating the Emerald Isle all week long, from March 11 through St. Patrick’s Day on March 17. For parade day on Saturday, The Fifty/50 offers a $35 all-you-can-drink package from 9:00 a.m. ’til noon, including a breakfast buffet, DJ and express entry (no waiting in line!). There could even be an ice luge, and who knows, guests might get a glimpse of a leprechaun. Keeping the party going after noon, and all week long, The Fifty/50 offers daily specials of $5 pints of green beer, $7 Jameson shots, $8 Irish car bombs and $3 corned beef sliders. The Florentine, an Italian dining destination located in the Loop, will feature a festive hand crafted cocktail for celebrating St. Patrick’s Day this March. Guests dining in can sip on the lucky Black Jack made with Bushmills Black Bush Irish Whiskey, rhubarb compote, ginger beer and Angostura bitters while enjoying delicious bites crafted by Executive Chef Zach Walrath. 6th Annual St. Patrick’s Day Festival at Chicago's Largest Tent Party! 3 days of live music with Bag Pipers, Leprechauns, Green Beer, Corned Beef Sandwiches and DJs. Open at 5 p.m. with entertainment at 7 p.m. and bag pipers at 8 p.m.
Open at 11 a.m. with entertainment at 5 p.m. until 2 a.m.
Advanced discounted tickets available at www.FinnsFest.com including a 3-day pass for $20. Discounted rooms at Wyndham Garden Schaumburg Chicago Northwest for $89. Call (847) 397-1500 and ask for Finn McCool’s Company Rate. DJ and Dancing until 3 a.m.
All request DJ at 8 p.m. Hosted Karaoke with Sundowner Entertainment at 9 p.m.